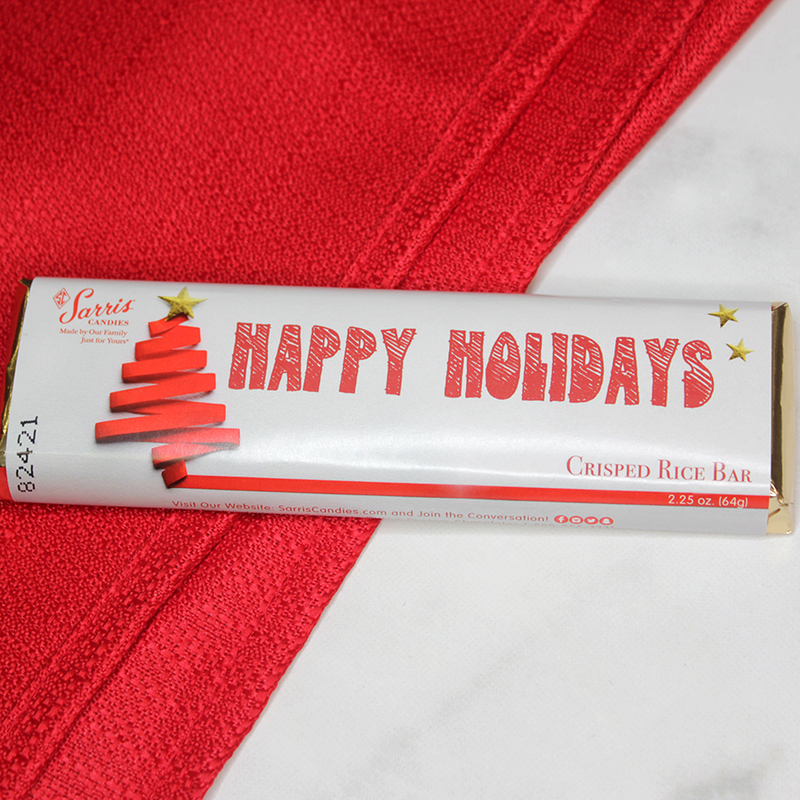 Sarris' famous solid milk chocolate bars come already adorned with festive Holiday Tree wrapper. They make the perfect gift for the mail carrier or your favorite neighbor or teacher. Available in plain, crisp or almond. Holiday Tree 3-pack contains 1 plain, 1 crisp and 1 almond.